New York: Apple iPhone is launching three new iPhone models, including the biggest screen everest expensive iPhone. Apple has named new models for iPhone XS, XS Max and XR. In addition, the company has introduced the latest Apple Clock that can also detect your heart disease. 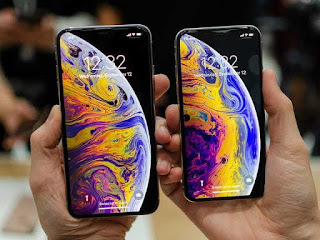 The three models are the most expensive in all the phones that have new and advanced features, while the two models are the largest storage in XS and XS Max. XS and XS Max are the sequence of X series introduced last year, which includes facial identification technology. New phones include modern high speed processors, high-screen and more pixel cameras. The XS screen is 5.8 inches, which is $ 999. Its rim is 4 GB and it is available in 64 GHz to 512 GB storage. The XS Max iPhone is the largest and expensive mobile ever up to a 6-inch screen and the price starts with $ 99.99. Its rim is also 4 GB and it is available from 64 to 512 GB storage. The X-ray is the lowest price in the three models, with a screen of 6.1 inches and is made of aluminum. The price is $ 749 while the REM is 3GB and it is available from 64 to 256 GB storage. XR is introduced in new and unique colors, including yellow and coral (coral).